It was a concert months in the making, but if the cheering crowd was any indication, it was well worth the wait. With the sun setting under a balmy night sky, the Lt. Dan Band, a program of the Gary Sinise Foundation, took the stage at Naval Station Guantanamo Bay, with acclaimed actor Gary Sinise leading the group on bass guitar. Originally scheduled for the spring, the show had to be postponed twice due to unforeseen events. But never one to disappoint the troops, Sinise persisted and, as the saying goes – the third time’s the charm. Hundreds of sailors and Joint Task Force service members stationed in Guantanamo crowded the stage to dance and sing along to more than two hours of rock ‘n’ roll hits. On the edge of the crowd was a group of civilians, happy to be along for the ride. A long-time partner alongside American Airlines in support of numerous veteran and military initiatives, Envoy is proud to provide frequent charter flights for the Lt. Dan Band, carrying Gary and band members to perform for service members and their families in far-flung military bases that don’t often see such a gifted group of musicians. 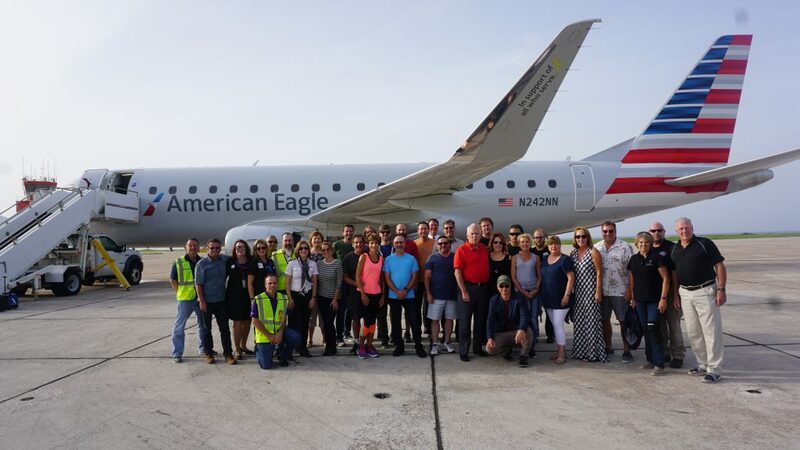 In addition to a volunteer crew of pilots and flight attendants, Envoy sends a certified mechanic, operations coordinator and customer service representative on every trip, ensuring that all flights run smoothly and our VIP passengers have everything they need to give their all at that stop’s performance. Coming from a family of veterans himself, Gary has been an active advocate for veterans, military and first responders for decades. But it was the attacks of 9/11 that galvanized his support for our nation’s defenders and prompted him to lend his name to programs and fund-raising efforts that honor these heroes. What started as a jam session among friends soon grew to become a full-fledged band, and in 2004, Gary led the Lt. Dan Band on its first overseas tour, the first of hundreds of performances they’ve logged since. 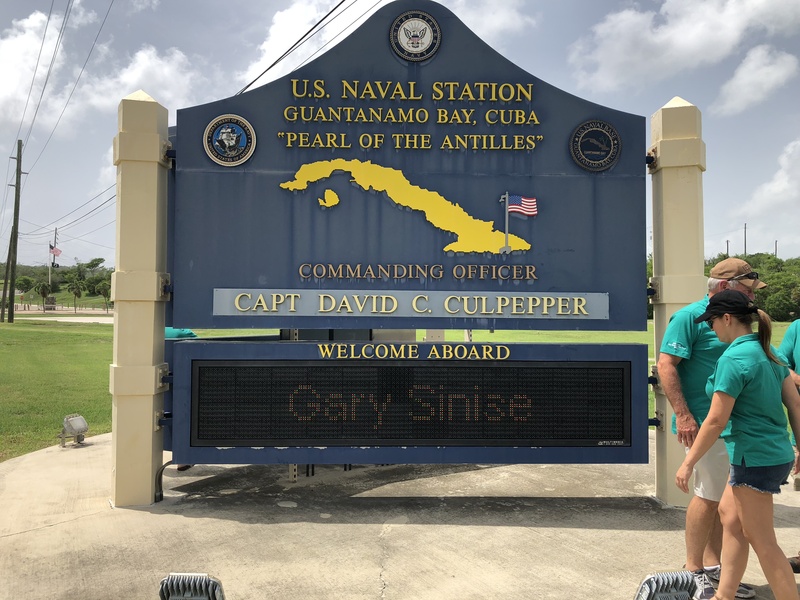 In 2011, he established the Gary Sinise Foundation, expanding his personal mission to encompass a number of programs aimed at improving the lives of those who keep our nation safe. And it’s clear that Gary truly lives by his motto – “While we can never do enough to show gratitude to our nation’s defenders, we can always do a little more.” Beyond concerts, the Foundation partners with a number of organizations and events that honor our nation’s veterans. From building new holiday memories for the families of fallen heroes to building specially adapted homes for severely wounded veterans, the Foundation makes a difference in so many lives. Like any successful military mission, the seemingly recreational trip to Guantanamo Bay was planned down to the minute – with individual assignments laid out for everyone in the group. From pre-dawn wake-up calls to late night ferry rides back to base lodging, it was a full day for everyone on the support team. The star of the show was likewise in constant motion. While bandmates performed sound check preparations, Gary could be found promoting the show on local radio and touring the base to meet with the soldiers and sailors who were on duty and unable to attend in person, thanking them for all they do to protect our national security. 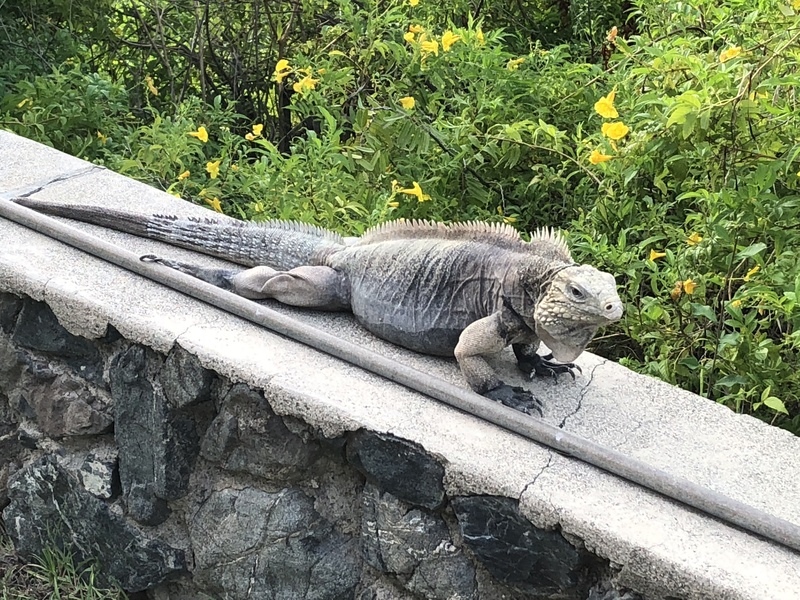 With their flight duties temporarily behind them, the Envoy team was treated to a tour and history of the Guantanamo base, our nation’s oldest overseas military installation. Not only a strategic logistics base for the Navy’s Atlantic Fleet, Guantanamo also serves as the cornerstone of joint U.S. military and governmental operations in the Southern Command area of operations. Shepherded around by tireless MWR guides – a civilian group responsible for the Morale, Welfare and Recreation of all the service members stationed on the island – the team covered a lot of ground in a short time and were delivered back in time to prepare for the show. Gnats. Lots of them. But even the incessant buzzing couldn’t dampen the excitement building in the audience. With the fragrance of Deep Woods Off wafting on the breeze, the house lights dimmed and the stage was awash with red and blue. For the next two hours, Gary and the band belted out popular hits from the 70s, 80s, and beyond – generating an energy that prompted most in the crowd to their feet, despite the tropical heat. It was a family affair, with couples dancing and kids happily sitting on service members’ shoulders for a better view. As the show came to a close, Gary moved to the microphone for an emotional last tribute to the troops, sharing what moves him to give back to our nation’s defenders and thanking everyone in attendance for their sacrifice. Their mission accomplished, the band turned in for a well-deserved rest in preparation for an early flight back to the mainland, where they were scheduled to perform several more concerts for military stationed near Orlando. 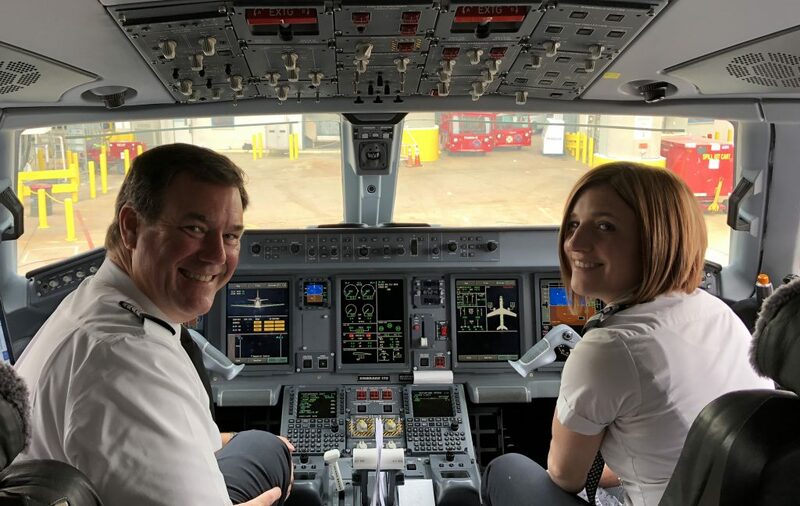 It was back to business for the Envoy crew, who showed up in uniform and ready to provide a safe, smooth and enjoyable ride home.